Water quality within the Priest Rapids Project area is vital for all living things. Learn more about our requirements for testing, data collecting and monitoring. We are committed to preserving the quality of our water resources. Water quality within the Priest Rapids Project area supports domestic, industrial and agricultural water supply, stock watering, wildlife habitat, fish spawning, migration and rearing. We currently operate and maintain four, fixed-site water quality stations within the Priest Rapids Project area. These sites are located in the forebays and tailraces of Wanapum and Priest Rapids dams. The data collected is used to document the status of key water quality variables within the Priest Rapids Project area and to comply with our 401 water quality certification. WARNING-PROVISIONAL DATA, SUBJECT TO REVISION: Real-time data presented by Grant County Public Utility District No. 2 (Grant PUD) on this website - including discharge (Kcfs), spill (Kcfs), percent spill (spill %), temperature (temp - Celsius), total dissolved gas (TDG saturation %), total dissolved pressure (mm/hg), and barometric pressure (mm Hg) are preliminary and have not received final quality assurance/quality control (QA/QC) review and verification. Inaccuracies in the data may be present, and can be the result of instrument malfunctions, instrument failure, or physical changes at Fixed Monitoring Stations. Subsequent review may result in significant revisions to this data. THIS DATA SHOULD NOT BE USED AS THE BASIS FOR MAKING BUSINESS, PERSONAL, OR OTHER DECISIONS AND GRANT PUD DOES NOT WARRANT ITS FITNESS FOR ANY USE OR PURPOSE. Data that has received QA/QC review and verification is posted daily, for the preceding day Monday through Thursday, and on Monday for the preceding Friday, Saturday, and Sunday at this page. The State of Washington works with the Federal Energy Regulatory Commission (FERC) licensing process for hydropower dams. 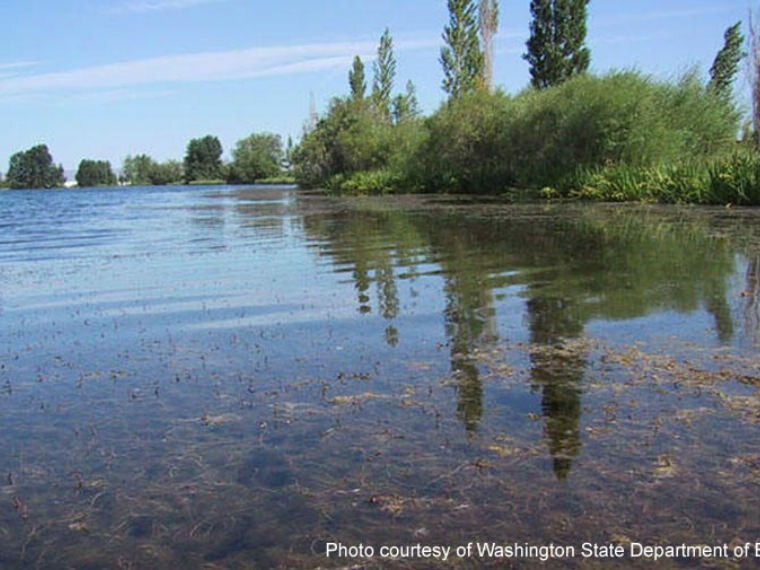 When an applicant requests a license, either to re-license an existing dam or for new construction, Washington Department of Ecology (Ecology) works with the utility, reviews studies, analyses and plans. If Ecology determines that water quality standards are attainable, a 401 Certification (referring to Section 401 of the Federal Clean Water Act) is issued with conditions to ensure that the standards will be met. These conditions become part of the new FERC license. Non-native species living in or near water, which cause harm to the economy, environment or human health are known as aquatic invasive species. 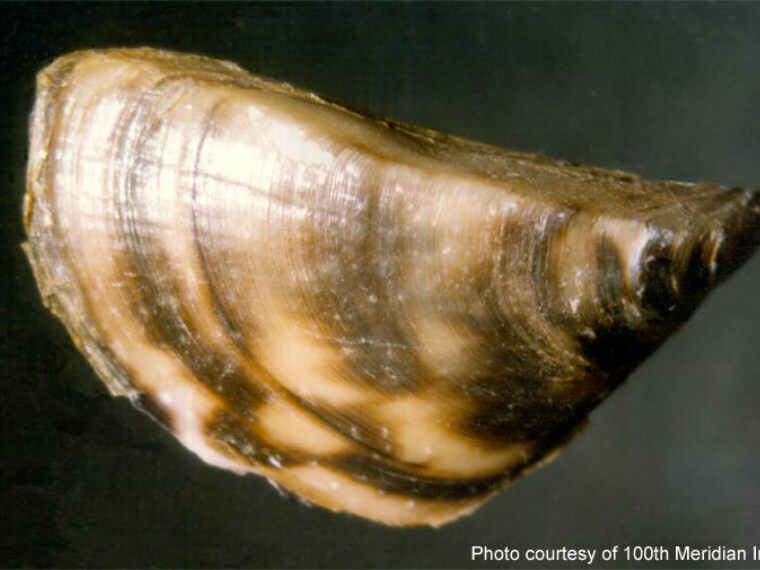 Since the mid-1980's, Zebra mussels have spread to more than twenty states. The Mussels can easily be transported on recreational boats , threatening native fish and wildlife and clogging water intakes. These mussels can thrive in areas that zebra mussels cannot. 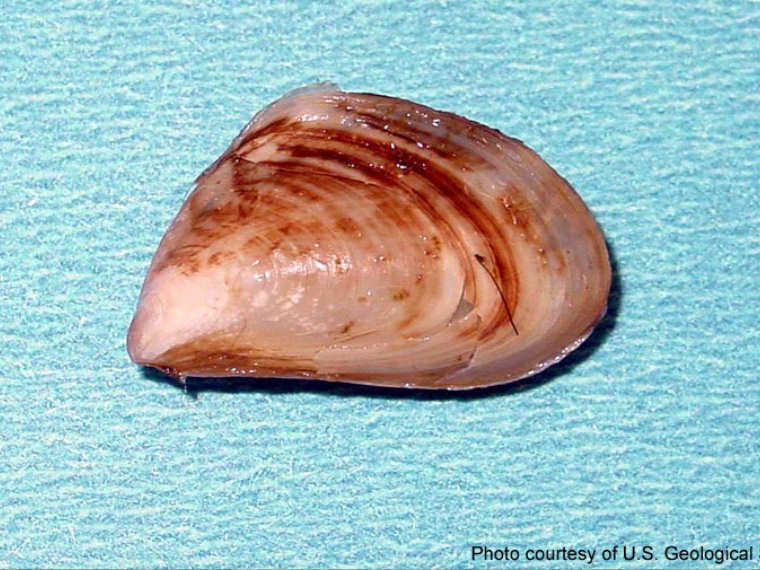 They also feed year-round and tend to inhabit deeper waters than the zebra mussel. Eurasian Watermilfoil can be found in lakes, ponds, shallow reservoirs and low-energy areas of rivers and streams, and can grow in a variety of conditions. 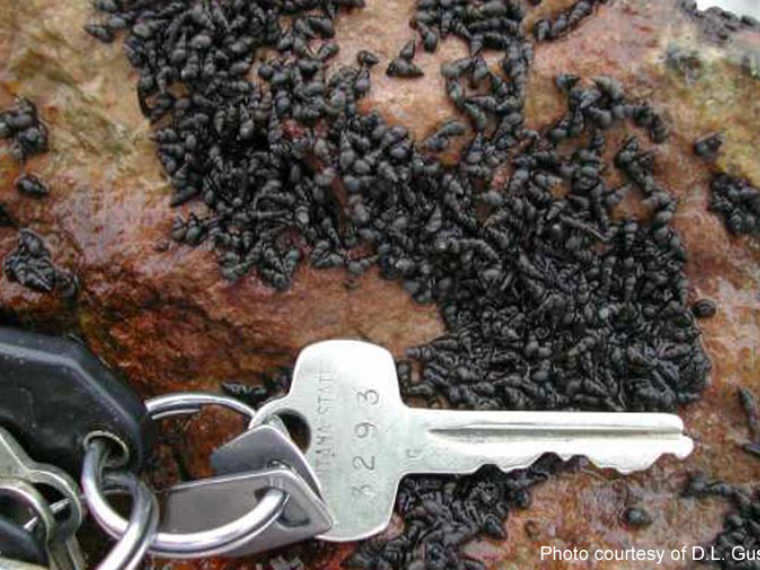 These tiny non-native snails multiply quickly and disrupt the food chain, threatening native fish. The State of Washington defines aquatic invasive species as any prohibited, regulated, unregulated or unlisted aquatic animal or plant species, any aquatic weed on the Washington State noxious weed control list or any non-native aquatic plant or animal species that threatens the diversity or abundance of native species, the ecological stability of infested waters or commercial, agricultural or recreational activities dependent on such waters (RCW 77.08.010). Review the Aquatic Invasive Species Control & Prevention Plan (pdf) for more information on how we are protecting the Priest Rapids Project waters these plants and animals.